Stoughton junior George Currier broke onto the scene last year, earning HockomockSports.com Underclassman of the Year honors after a strong first season in the Black Knights’ starting lineup. Currier played right field last season and really impressed with his consistent defense. Head coach Mike Armour boasts that Currier can play anywhere defensively and that certainly gives the Black Knights flexibility. He also was strong at the plate, batting .328 with four doubles, 14 runs, and 13 RBI. With a year of experience under his belt, Currier will certainly be a leader for the Black Knights this year. First-year Attleboro head Steve Dunlea put it perfectly when talking about senior Alvaro Espinal: “He’s the type of player that you don’t want to be at the concession stand when he’s up to bat.” Espinal really impressed during his first year in the Bombardier starting lineup last season. He’s got a quick bat and lightning speed that puts a lot of pressure on opposing defenses. Once he gets on base, he can certainly find his way into scoring position with his legs. That speed is also on display defensively as Espinal showed last year that he can cover a lot of ground and make tough catches look routine. The Franklin Panthers have had a lot of success over the past two seasons, and one constant in that time period has been shortstop Alex Haba. Haba burst onto the scene as a sure-handed shortstop during his sophomore year and has been one of the best defensive players at any positions since then. At one of the most important spots on the field, Haba routinely makes difficult plays look easy. And over the past two years, he’s really improved on the offensive end. Last season, Haba batted .328 during the regular season with 22 hits, 12 RBI and 15 runs scored. Haba will be a leader for the Panthers this year, both on and off the field, and could be one of the best overall players in the league. 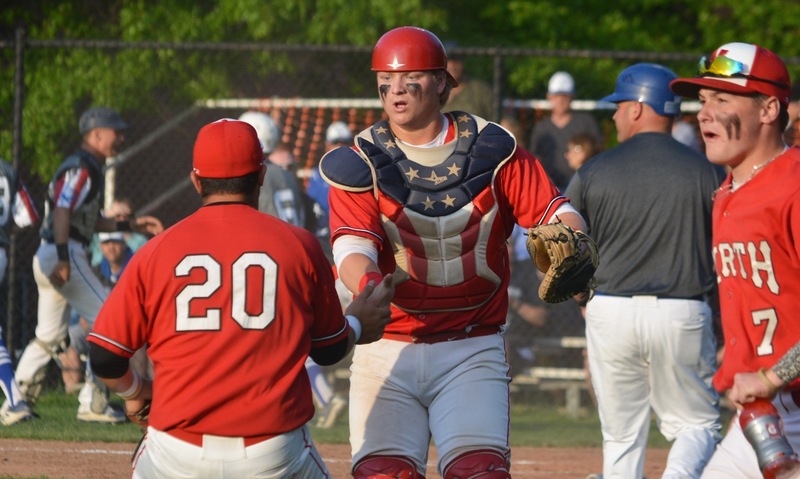 Milford had a bit of a down year in 2018 but the Scarlet Hawks have a lot of players back this year that are looking to make a run to the state tournament. One of those players is senior captain Nick Marcolini, who was one of the strongest players for the Scarlet Hawks. Last year, Marcolini hit .386 with 17 hits, eight runs scored and three RBI. He provided the Hawks with some timely at-bats and will be a leader, both on and off the field this season. He will also see some time on the mound and gives the Hawks a left-handed option. With a solid group of experienced players, such as Marcolini, Milford should be in contention for a playoff spot. King Philip senior David Morganelli has had a terrific career for the Warriors in both football and baseball, and he will be looking to have another strong season before graduating. He posted a 2-3 record last year on the mound, striking out 43 in 38.2 innings of work. His ability to use multiple pitches, including a good slider, keeps batters off balance. He ranked in the top 10 last season for strikeouts and was among the league leaders in ERA, posting an impressive 1.99 mark. “David has an opportunity to be one of the best pitchers in the Hock,” said KP coach Greg Kessler. “He is competitive and has improved a lot in terms of accuracy.” The Warriors will look for Morganelli to anchor a strong pitching staff this year. One of the top all-around players in the league, Chris Pearsons is definitely one of the preseason favorites for Player of the Year. Defense seems to come easily to Pearsons, who started at third base last year but will make the switch to shortstop this year. Having such an experienced player patrolling shortstop will bolster the Tigers’ defense, which is strong every single year. He really improved last year at the plate, batting .448 in the regular season, sixth best in the league. He had 30 hits, 17 runs scored and 11 RBI. Expect more of the same this year from Pearsons, who will likely be in the heart of the lineup for the Tigers. Taunton’s Josh Lajoie proved to be one of the toughest at-bats last season. While sometimes prone to walks, Lajoie showed some really good stuff at times that had batters guessing. He throws very hard and keeps batters off balance. The important thing this year will be pounding the strike zone for Lajoie, who is committed to St. John’s University. He will form arguably the top 1-2 starting pitching combinations with classmate Jack Moynihan. 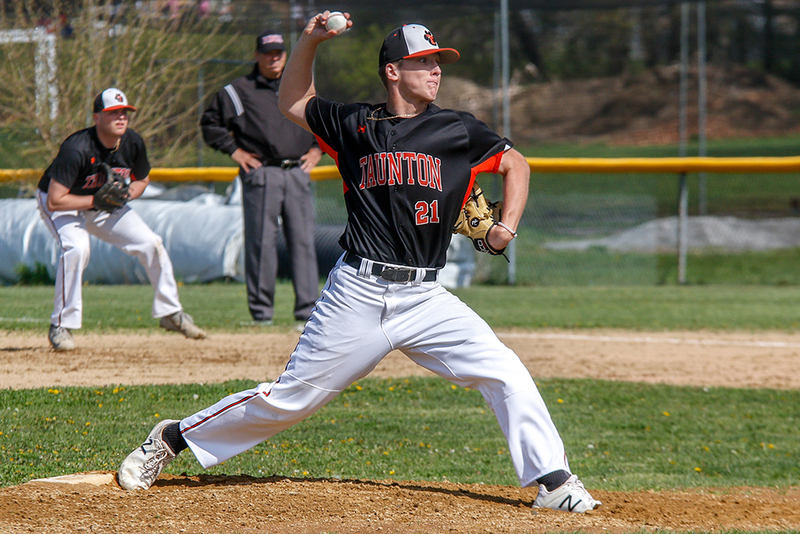 On top of being one of the best pitchers in the league, Lajoie is a key piece of the Taunton offense. He was third on the team last year with a .366 batting average. He had 15 hits with five runs scored and five RBI. Expect Lajoie to have a big impact for Taunton this season. Taunton’s Jack Moynihan enters his fourth year on the Tigers and will look to orchestrate a memorable season for his final year. Moynihan impressed during his freshman year but injuries slowed him during his sophomore season. He bounced back nicely last year, emerging as one of the top pitchers in a league full of great hurlers. 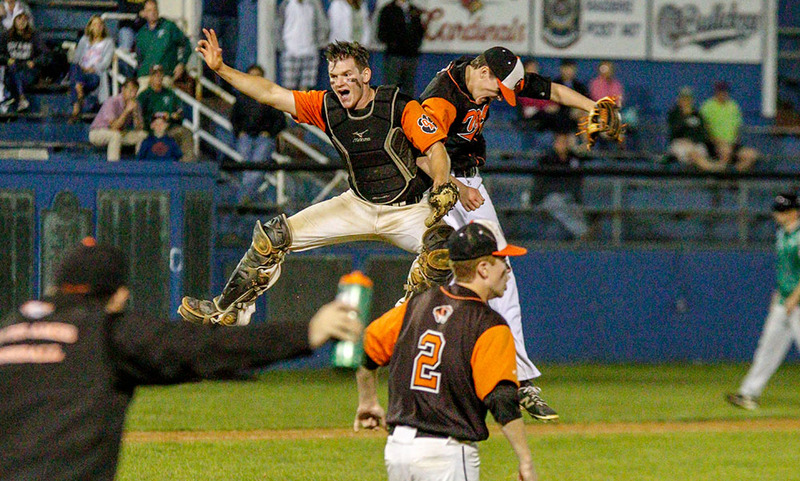 He picked up wins over both Mansfield and Franklin, the two Hock teams in the Super 8, including a 15-strikeout performance against the eventual champion Panthers. He went 4-2 in the regular season with an impressive 0.97 ERA, striking out 40 in the process. He has a great fastball and can mix in offspeed pitches when needed to keep hitters off balance. Moynihan, who is committed to Sienna College, is a preseason favorite for Player of the Year. One of the most consistent offensive weapons for the Kelley-Rex division champion Hornets last season is back again this year: senior Dan Saraceno. The outfielder spent the majority of the season atop the leaderboard for batting average, finishing the year with a .364 clip. He had 20 hits and tied for third in the league with 21 runs scored and added 14 RBI. The Hornets were first in the Kelley-Rex in runs scored last year and Saraceno’s consistency near the top of the order helped put Mansfield in position to score. He will also be a valuable member of the Hornets outfield defensively. He will return alongside Sam Nugent as starters, giving Mansfield a leg up defensively. North Attleboro had a tremendous season last year by winning the D2 State Championship, the first in program history. A lot of attention went to the Rocketeers’ relentless offense as well as ace Nick Sinacola. But senior Matt Wanless quietly put together one of the best seasons among all players in the league. He went a perfect 5-0 in the regular season in 31.1 innings pitched. He wasn’t one of the most flashy pitchers, striking out 17 total but he was certainly one of the most effective pitchers in the league. He posted a 0.90 ERA in the regular season, giving the Big Red a chance to win every single time he was on the mound. With Sinacola graduated, Wanless will be a very important piece of the Rocketeer’s pitching staff in 2019.